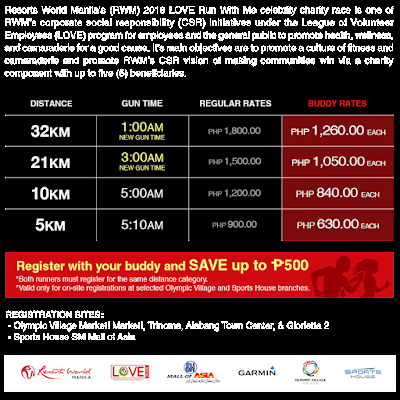 Resorts World Manila (RWM) announces the celebrity race tribe leaders for Run With Me 2018, its annual celebrity charity run which will be held on August 26 at the SM Mall of Asia Concert Grounds. The six running tribes will be led by Adrian Alandy and Meg Imperial for YesPinoy Foundation; Rovilson Fernandez and Carlene Aguilar for EPCALM Adult Leukemia Foundation of the Philippines; Gian Magdangal, OJ Mariano, and Topper Fabregas for HERO Foundation; Jeffrey Hidalgo, Abby Asistio, Ria Atayde, and Kim Atienza for Right Start Community Development, Inc.; DJs Sam YG, Slick Rick, and Tony Toni for Empowering Brilliant Minds Foundation; and Jeffrey Santos, Chuckie Dreyfus and Yen Dreyfus for ERDA Tech Foundation. Runners will be randomly assigned to their tribes upon registration. 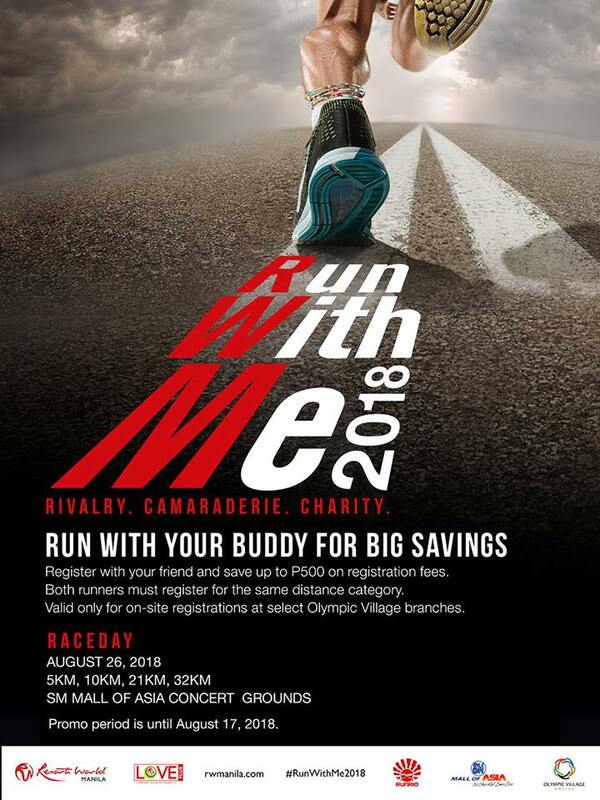 Local celebrities Dingdong Dantes, Philippine “Long Jump Queen” Elma Muros, Ejay Falcon, Diego Loyzaga, and more will join Run With Me 2018 as participants. The Zamora Brothers of dance group The Maneuvers will lead the warm up during the 10K race assembly at 4:00AM. 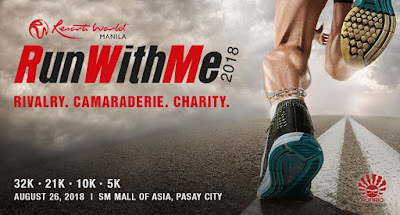 Interested runners may now register online through www.runwithme.ph or onsite at select Olympic Village branches in Metro Manila until August 17 for all race categories (32K, 21K, 10K, and 5K). RWM Mobile Companion users who register for Run With Me 2018 through the app are entitled to a 20% discount on joining fees for all race categories until August 17. The RWM Mobile Companion can be downloaded for free through the AppStore and GooglePlay. 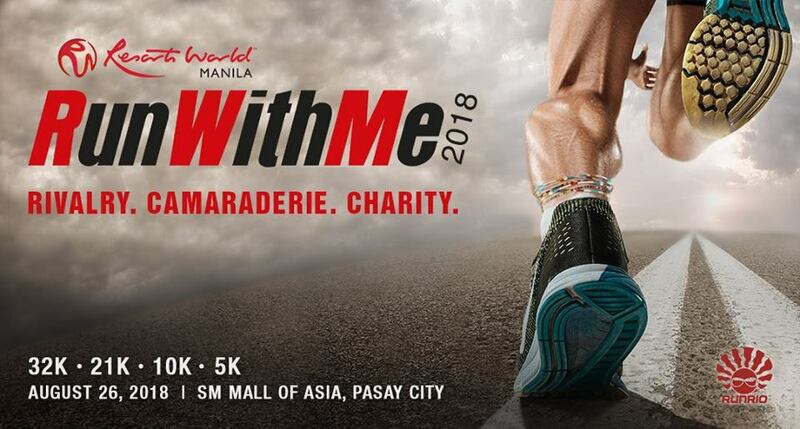 Once registered, race kits will be ready for collection at The Plaza in Newport Mall, RWM, from August 23-25 during the Run With Me Expo. 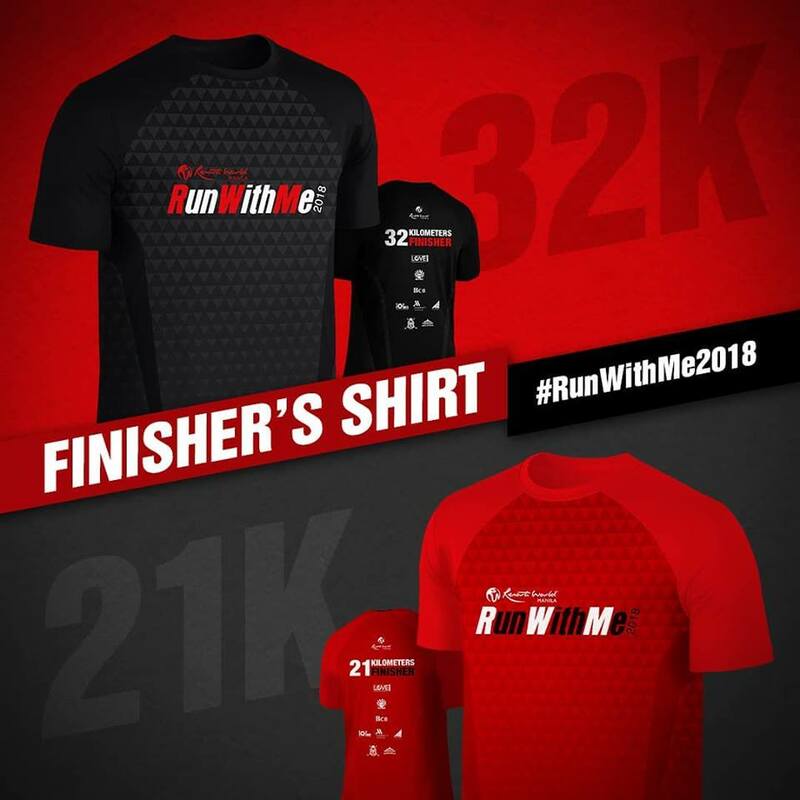 Runners and guests will be in for a treat with freebies and discounted items from Run With Me sponsor booths. Live entertainment acts such as Soul Republic, AAA, JBK, New Main Cast, Tiarra, Kerren & Mark, as well as scholars of the Original Pilipino Performing Arts (OPPA) Foundation will perform in the evenings of the expo. Lace up and run in the name of fitness and charity. 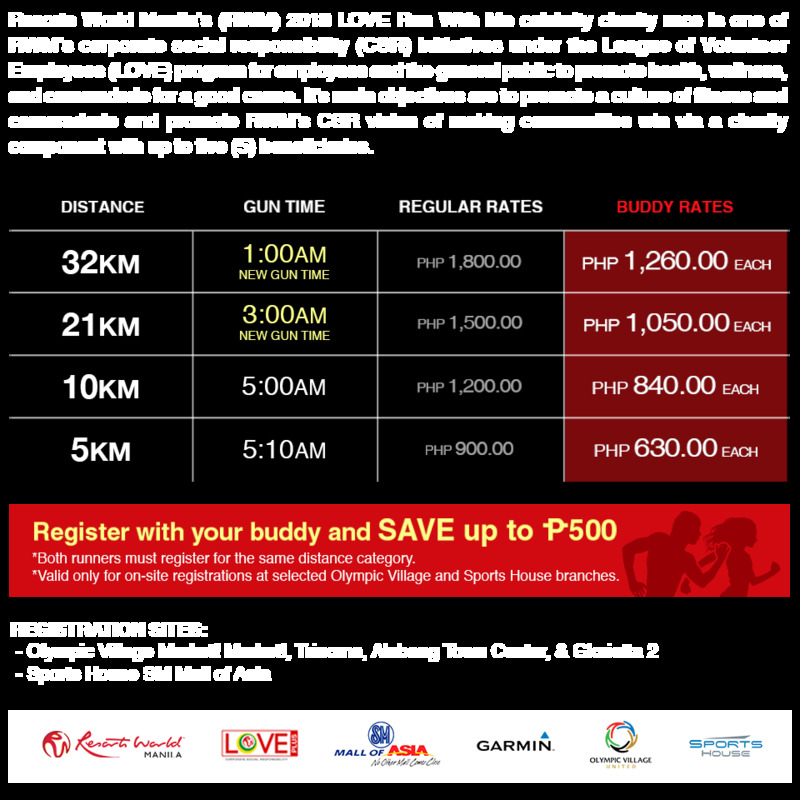 Visit www.runwithme.ph for more information and to register online.